The SCP Economy Base Jack is a high quality cost effective alternative to traditional leveling solutions. 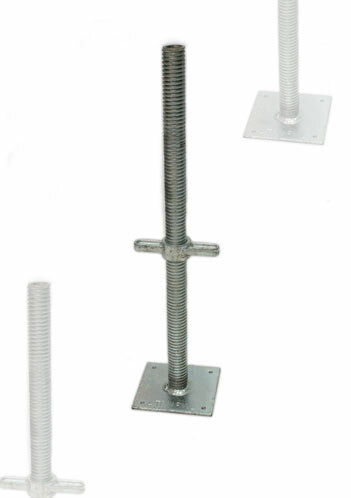 The SCP Economy Base Jacks are compatible with all types of System Scaffolding.They are manufactured using a roll threading process which ensures the maximum safe working load of 4 tonnes is comfortably achieved. Safe working load: 4000kg (concentric loading). Safety factor 3:1. Base Plate: 150 x 150 x 5mm to BS4360/43A. Eco Base Jacks are independently tested and comply with Metal Scaffolding Standards BS1139 and EN74.